Have you ever had to pay for a full-service hotel yet all you wanted is just a place to nap for a few hours because you are rushing to go somewhere else the next day? Even worse when you are catching an early morning flight but airport hotels are world-famous for being on the steep end when it comes to hotel rates. Take for example, Sama-Sama Hotel in KLIA which charges not less than RM200 per night, yet all you want is just a comfortable place to spend the night without worrying for your and your belonging's safety. Like us, I'm sure many travellers heaved a sigh of relief when AirAsia Group decided to launch Tune Hotels back in 2009 and have one nearby KLIA / KLIA2. Although recently another alternative, Capsule by Container Hotel breaks into the scene of airport budget accommodation, Tune Hotels is still a relevant choice for travellers traveling with family or in group (a family can't stay together in Capsule by Container Hotel because they separate men and women sleeping bunks, and you have to share bathroom as well). A couple of months ago, we had the opportunity to sample Tune Hotels at KLIA2 as we were en-route to Bintulu early the next morning. Following the 'no-frills' concept of its sister airline business, Tune Hotels operate limited service where you pay only for the amenities that you want to use. 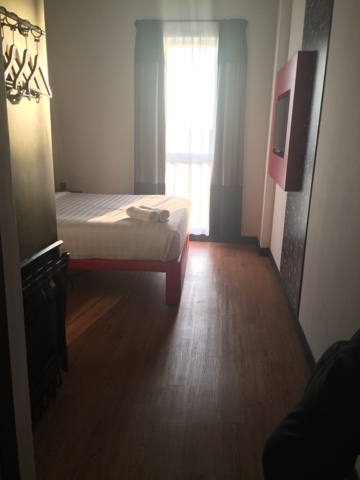 It's pretty easy to book a room via its website (tunehotels.com) and visitors are given options from basic (room + shower + ceiling fan only) to full service including breakfast. The price is quite affordable too, since we only wanted to sleep for a few hours before we boarded our early morning flight. We picked the option with full amenities excluding breakfast. 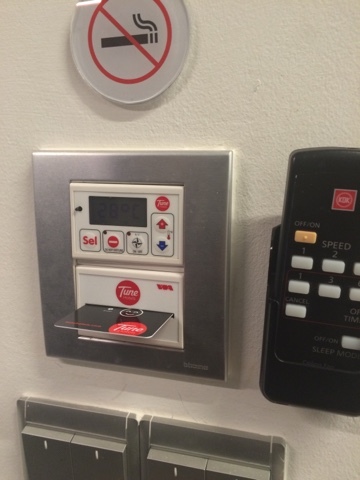 Upon checking in, we were given a room key card which we have to slot in the card slot to activate our amenities of choice. Our room comes with a queen size bed and an en-suite bathroom with shower. 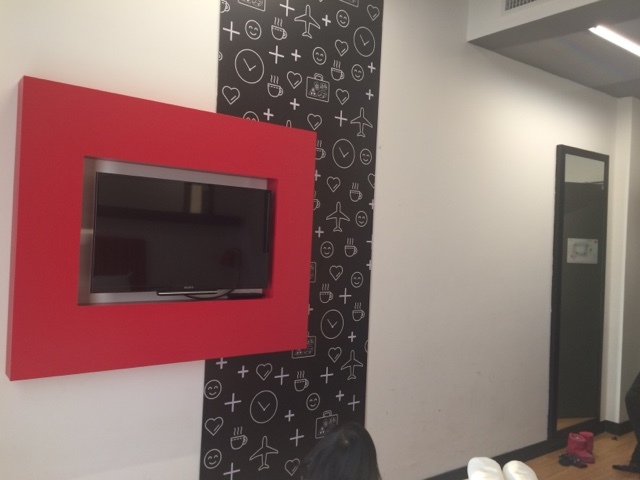 The room design is clean and follows minimalist concept in red, black and white. It makes the 11sqm room appears a bit more spacious than it really is. 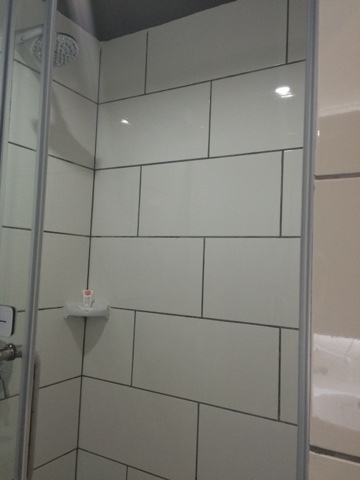 A power shower allows you to choose hot or cold shower depending on your preference. Simple toiletries (shower gel and shampoo with conditioner) are also provided. 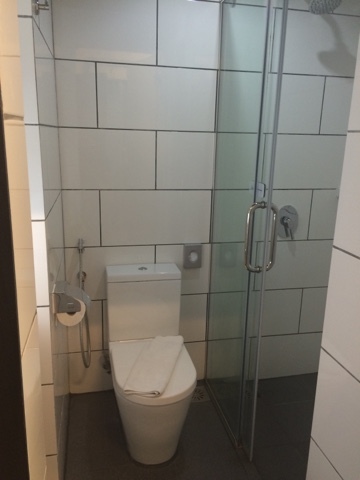 The bathroom is rather tiny and only one person can squeeze in the bathroom at a time. 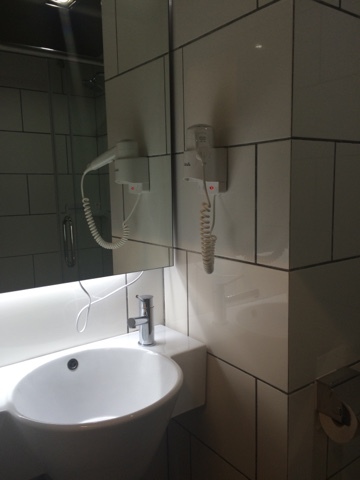 The hotel cleverly manipulates a vanity mirror in front of the sink to give the bathroom a larger appearance. I must say it was worth every ringgit we paid for to stay in a clean, comfortable room with super-comfy bed. Among the add-ons that Tune Hotels provide is early check-in (11am) which I'm sure many travellers are grateful for since we always hate having to wait until 2pm before we can check in. 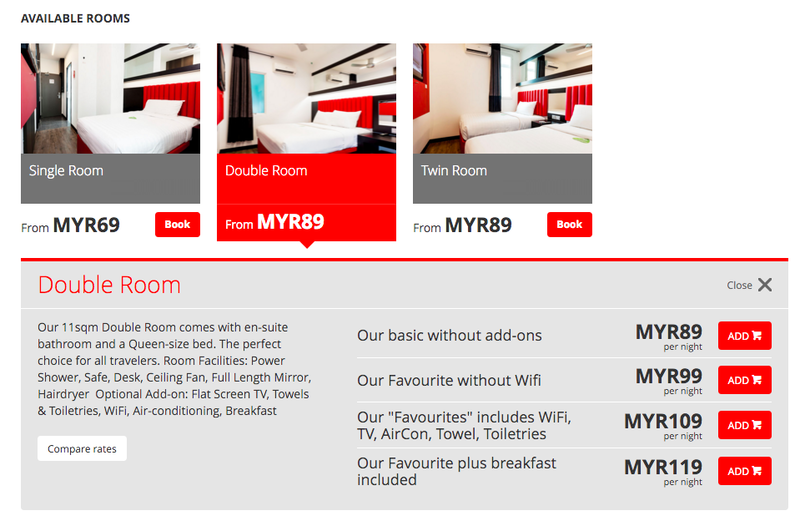 So, the next time we have to catch an early morning, we definitely will book a room with Tune Hotels KLIA2.